Adam Harrell, PGA - Teaching Professional at the 1757 Golf Club in Dulles, VA. He began his teaching career at the Jim McLean Golf School at the Doral Resort and Spa. He worked his way up from an assistant teacher to Lead Master Instructor. During that tenure, he also served as the Personal Assistant to Jim McLean, who is ranked 3rd best instructor by Golf Digest. Adam credits Jim Mclean as his mentor in teaching. He taught both of Jim’s sons, who received scholarships to Wake Forest and TCU. He also had the fortune of teaching Lexi Thompson and her brother Curtis. Lexi is currently the best American female golfer and ranked #5 in the world. 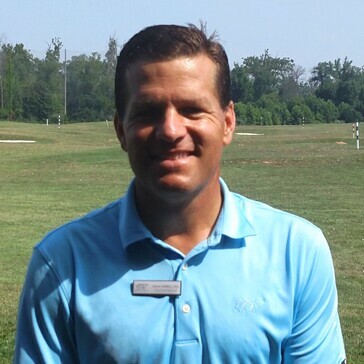 Adam moved back to the Northern VA area in 2009 working at Reston National Golf Course and at 1757 Golf Academy. He branched out on his own, founding the Elite Performance Golf Academy in 2011. He returned to 1757 in 2017 to provide world class instruction to the patrons. He has a passion for helping junior golfers reach a higher level golf: making their high school team, getting a golf scholarship to the college of their choice, and/or making it to the professional ranks. He currently works with Michael Brennan, 2017 VSGA Junior Golfer of the Year and Sihan Sandhu, the #2 ranked 12-year-old in the world. Harrell also works with over 30 junior golfers playing tournament golf. Harrell played golf and graduated from George Mason University. He loves spending time with his family, especially his 5-year-old son Chase, and their three dogs and two cats. Harrell’s motto is: “Never Stop Learning” and loves the book “Growth Mindset” by Carol Dweck. He looks forward to working with all the junior golfers and developing more elite junior golfers at 1757 G.C. in the years to come.